Festival of Sardines along with Sagra del Pane Nero Castelvetrano is another great event that takes place in Marinella di Selinunte, to celebrate a product fish from the goodness and the characteristics unique gourmet. 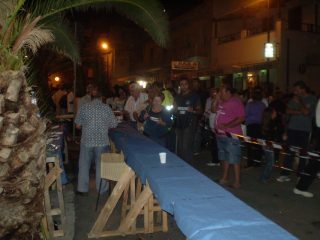 This traditional and folk festivals take place in Piazza Scala Bruce (between the two harbors of the township marinara), usually in about half of September, it will be covered in the plan of promotion of Selinunte fishermen who continue to promote sardine blue Selinunte as food belonging to the category of bluefish from the high nutritional value. Festival of Sardines continue to take place year after year, emerging as a tradition, which expresses all its beauty, the cultural origins of Selinunte and the importance of cooking Mediterranean cuisine. It is organized by the fishermen of Selinunte in collaboration with the municipality of Castelvetrano on the promotion of events Selinuntines "Pani Sardi ... and imagination". 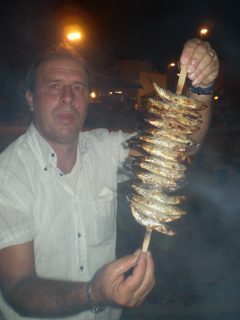 Local fishing of sardines in the sea of Selinunte for the conduct of the festival, is made free by sailors Selinuntines, using networks of trafficking and ciancialo nylon. 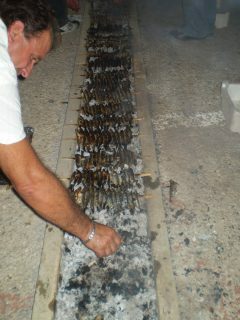 Sardines as fish, are put in the cassette and arranged in the clearing of the square, directly opposite the beach. The sardines are stuck in the bamboo skewers, and put to roast on charcoal fully endorses the long rows of cantons located in the clearing, as they are ready sardines are offered directly to the public during the event, the festival . Each year the festival is gaining in importance, and is enriched by new events and participants, the evening was also enlivened by folkloristic groups who dance and sing around people. 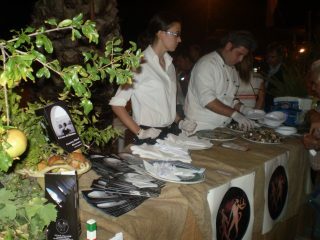 Finally, recently, in addition to the classic arrustuta di li sardi" by sailors, was joined with great enthusiasm all of Selinunte restaurateurs, which involved setting up and every man his stand, and offering (with a symbolic payment of a ticket of 0.50 Euro cents) based on the typical Sardinian dishes. 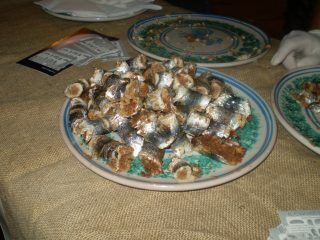 Many and varied cuisine, always of course based on sardines, are publicly offered in the stands and tables for restaurants, such as pasta with sardines, sardine rolls, sardines warbler, Sardinian pasta, pie sardines, toasted with tomatoes and sardines, and many many other dishes of culinary fantasy Selinunte.